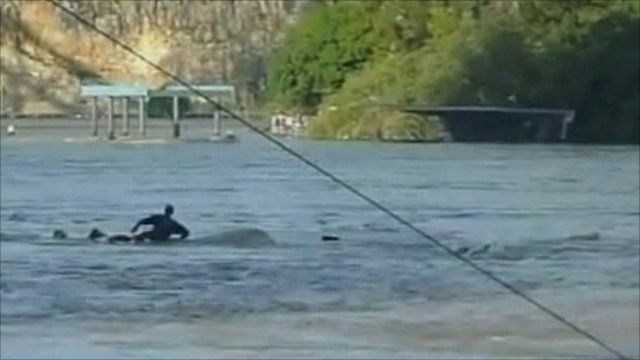 'Miraculous' escape as boat sinks Jump to media player Surging waters on the Brisbane River caused a yacht to sink, taking its skipper with it. 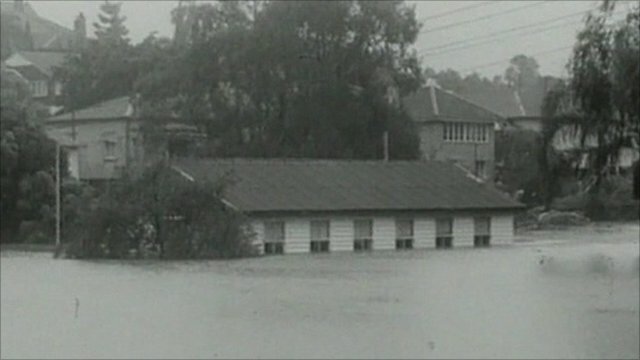 Brisbane's floods in 1974 Jump to media player Australian Broadcasting Corporation's Conor Duffy looks back at the 1974 floods. 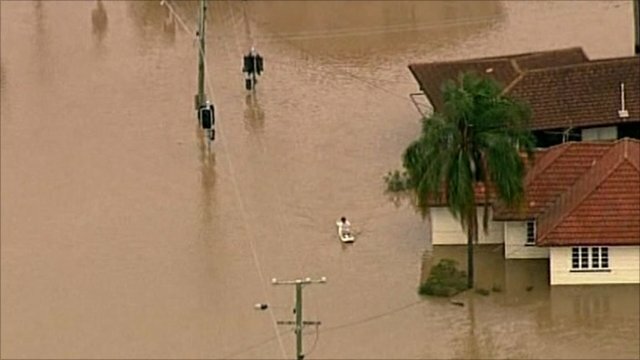 Surging waters on the Brisbane River on Thursday have caused a yacht to sink, taking its skipper with it. When the Orion broke free of its mooring and ran into floating debris, the damaged vessel began to take on water. Skipper Russell Bentley swam out and climbed on board to assess the damage. A friend sailed out to assist and both men were caught in the sinking boat. As the yacht rolled over and sank, Bentley hit his head and was taken deep underwater. A nearby police boat later rescued both men.